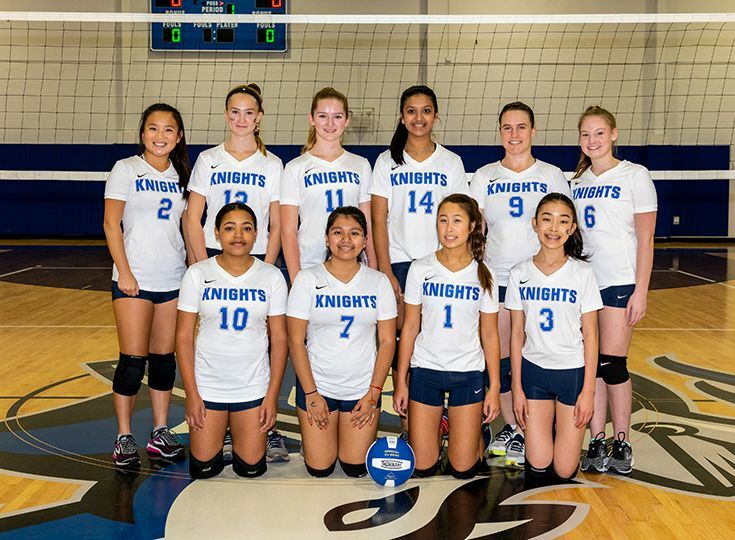 The girls’ JV volleyball team finished out its inaugural season this fall. Going in, the Knights’ main goals were to establish a positive tone for the program, learn the fundamental skills of volleyball and the finer points of competition. With a roster of players who had never played competitively before, head coach Mark Signorelli knew that these goals would be essential in building the squad. With each week of practice, the players continued to improve their skills and increase their self-confidence on the court. The group of new players put what they learned to the test as they took on Asbury Park, Immaculata, Rutgers Prep and Newark Academy. They even competed at the West Orange JV tournament and, although ultimately falling short, made a convincing bid for a playoff spot. A group of talented underclassmen rounded out the roster. The younger players’ growth and development this season will be very important components in the sustained success of the program as it continues to grow at Gill. “I am looking forward to watching them develop over the next few years, and I think they will provide us with a great foundation moving forward,” said Signorelli.